A broad fundamental understanding of the mechanisms underlying the phenomenology of supercooled liquids has remained elusive, despite decades of intense exploration. When supercooled beneath its characteristic melting temperature, a liquid sees a sharp rise in its viscosity over a narrow temperature range, eventually becoming frozen on laboratory timescales. Explaining this immense increase in viscosity is one of the principle goals of condensed matter physicists. To that end, numerous theoretical frameworks have been proposed, which explain and reproduce the temperature dependence of the viscosity of supercooled liquids. Each of these frameworks appears only applicable to specific classes of glassformers, and each possesses a number of variable parameters. Here, we describe a classical framework for explaining the dynamical behavior of supercooled liquids based on statistical mechanical considerations, and possessing only a single variable parameter. This parameter varies weakly from liquid to liquid. Furthermore, as predicted by this new classical theory and its earlier quantum counterpart, we find with the aid of a small dimensionless constant that varies in size from ∼0.05 to 0.12, a universal (16 decades) collapse of the viscosity data as a function of temperature. The collapse appears in all known types of glass-forming supercooled liquids (silicates, metallic alloys, organic systems, chalcogenide, sugars, and water). Human kind has been forming and using glasses for millennia. The unique optical, thermal, and mechanical properties, as well as ease of working, which arises from the lack of long-range crystalline order in glasses (Gupta, 1996) has lead to their application in a diverse range of fields (Zallen, 1983; Hancock and Parks, 2000; Telford, 2004; Greer and Ma, 2007; Wuttig and Yamada, 2007; Berthier and Ediger, 2016). Despite their ubiquity, a fundamental understanding of the phenomenology associated with glasses and their formation via the vitreous transition remains elusive. In order to understand the structural and mechanical behavior of glasses, we must first understand how and why they form at all. As glasses form from supercooled liquids, this means we must first understand the dynamics of supercooled liquids. Ordinarily, when an equilibrium liquid is cooled to a temperature beneath its melting point it undergoes a first order thermodynamic transition to the ordered crystalline solid. However, if the liquid is cooled sufficiently quickly (at material-dependent rate), crystallization can be bypassed, and the liquid enters a metastable (with respect to the crystal) state and is termed “supercooled.” The thermodynamic and kinetic properties of supercooled liquids exhibit a number of remarkable characteristics, but the most striking is arguably the behavior of the viscosity (and all associated relaxation times) (Cavagna, 2009; Procaccia, 2009; Berthier and Biroli, 2011; Hunter and Weeks, 2011; Kalogeras and Hagg Lobland, 2012; Langer, 2014). The viscosity of supercooled liquids grows by as much as 14 decades over temperature ranges as small as a few hundred Kelvin, eventually reaching a value of 1012 Pa s at the kinetic glass “transition” that occurs at a temperature Tg. 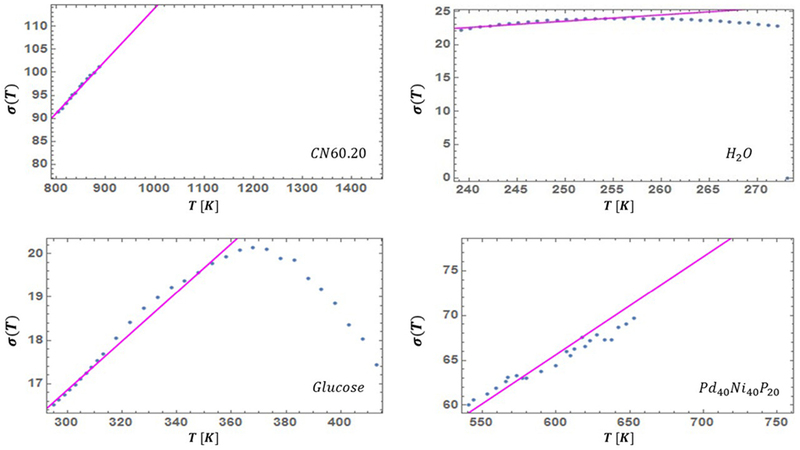 Calorimetric signatures of the transition into the glassy state have also been observed at the dynamic glass transition temperature Tg (Yue, 2009). At temperatures below the glass transition temperature, Tg, the increasingly sluggish dynamics lead to the onset of rigidity and solid-like behavior in the liquid on observable timescales. This immense dynamical slowing occurs without any obvious structural change/ordering and attempts to find an appropriate order parameter or growing length scale have remained inconclusive. As such, explaining the spectacular increase of the viscosity (and associated relaxation time) of supercooled liquids remains an open challenge in material science. with ΔG(T), a (weakly) temperature-dependent Gibb’s free energy of activation and kB, Boltzmann’s constant. The simple interpretation of this form is that there exists a well-defined energy barrier (associated with bond-breaking) that can be overcome by thermal excitations. As the temperature is lowered, appropriately sized thermal fluctuations become considerably less likely and flow decreases appreciably. If this form were maintained in the supercooled liquid, there would be little mystery. However, all liquids show a degree of departure from the Arrhenius form. This degree of departure forms a continuous spectrum and is quantified by Angell’s fragility parameter (Angell, 1995; Angell et al., 2000). According to this scheme, the most “fragile” liquids (those with the high values of the fragility parameter) display a far more dramatic rise in the viscosity than that predicted by an Arrhenius law, whereas the deviation from an Arrhenius law is far smaller in “strong” liquids (having a small fragility). The underlying physics of the departure from equation (1) is what we aim to explain. was able to adequately describe the viscosity of many supercooled liquids over a fair range of temperatures. In the so-called VFTH form, the parameter D is related to the fragility, and T0 is a material-dependent temperature at which a dynamic divergence is predicted to occur. This form initially appeared as a purely empirical form, with no rigorous theoretical support. However, over the years a number of theoretical frameworks have been proposed (Cohen and Turnbull, 1959; Adam and Gibbs, 1965; Bengtzelius et al., 1984; Leutheusser, 1984; Kirkpatrick et al., 1989; Parisi and Mezard, 1999; Lubchenko and Wolynes, 2007; Gotze, 2008) to reproduce the VFTH form. While the VFTH form has survived for nearly a century and is widely used, it has consistently been shown to provide an overall poor fit to the viscosity of supercooled liquids of all types (classes, fragilities, bonding types, etc.) over the whole range of data. Additionally, there is no conclusive evidence for a dynamic divergence at any temperature above absolute zero (Mauro, 2011). These include tantalizing experiments that employed 20-million-year-old amber (Mauro, 2011; Zhao et al., 2013). For these and other reasons, a plethora of other functional forms have been proposed in the last 30 years, which do not contain a dynamic divergence and which have rigorous theoretical foundations. A few of these, which have been found to accurately describe the viscosity of many glass-forming liquids, are the KKZNT, Cohen–Grest free volume, parabolic, and MYEGA forms (Cohen and Grest, 1979; Kivelson et al., 1995; Nussinov, 2004; Tarjus et al., 2005; Elmatad et al., 2009, 2010; Mauro et al., 2009). The aforementioned functional forms have all been shown to do an excellent job of reproducing the temperature dependence of the viscosity of a wide range of supercooled liquids. For example, the KKZNT form (Kivelson et al., 1995; Nussinov, 2004; Tarjus et al., 2005) has become a favorite of some researchers in the metallic glass community and very accurately describes the behavior of metallic liquids (Blodgett et al., 2015), while the MYEGA form (Mauro et al., 2009) has become ubiquitous in the silicate and oxide glass community, as it works very well for covalently bonded non-organic liquids. The trouble with these forms, as we will show, is that despite their applicability to some liquids they do not accurately describe all types of supercooled liquids. This is made particularly striking in a review by Angell et al. (2000), in which the authors list ten different functional forms all of which they discuss are accurate only for certain types/classes of liquids. Additionally bothersome is that most of these theories contain at least three adjustable parameters, which cannot be uniquely determined by correlations with thermodynamic observables. This is true of the parabolic form (Elmatad et al., 2009, 2010), which has wide applicability to fragile glasses. It seems reasonable to expect that if any liquid can in principle be supercooled, then there should be some universal mechanism/theory that is applicable across all liquids. Further, the material-dependent parameters of a given model should be related to thermodynamic observables, and not arbitrary fitting variables, while reflecting first principles. In order to remedy the issues discussed above, we will now propose and assess a classical statistical mechanical framework to describe the viscosity of supercooled liquids. An earlier quantum rendition of our theory that mirrors and contains many of the considerations invoked in the classical approach that we discuss here first appeared in Nussinov (2015) and motivated the fit and collapse that we experimentally tested and derive here classically. Within our framework, the temperature dependence of the viscosity contains only a single parameter. Such a functional dependence implies a collapse of the viscosity data. In the current work, we collapse the published viscosity data of 45 supercooled liquids onto a single scaling curve. This collapse is a central result of our work. Additional aspects of our approach (in particular, the calculation of Angell’s fragility parameter and the viscosity above the melting temperature) along with further details concerning our data analysis and fits appear in Weingartner et al. (2015). Regardless of our theoretical bias, the existence of the universal collapse of the viscosity data that we first report on here suggests [as it has in many other arenas for very different problems (Stanley, 1999; West and Brown, 2005; Pyrak-Nolte and Nolte, 2016)] an underlying simplicity. Historically, the existence of a collapse in which the data from numerous systems were seen to fall on a universal curve pointed to a commonality in standard equilibrium critical phenomena (Stanley, 1999). Historically, the discovery that experimental data for various systems in the vicinity of their liquid to gas phase transition can be made to collapse onto a single curve after a simple rescaling (Guggenheim, 1945) predated current understanding of critical phenomena by many decades and hinted at the universality that permeates equilibrium phase transitions (Stanley, 1999; Nishimori and Ortiz, 2010). We hope that the viscosity collapse that we find for all studied supercooled liquids will spur further investigation. In the next section, we turn to the rudiments of our classical statistical mechanics approach. where Zi is the atomic number, me is the electron mass, Mi is the atomic mass, r→i is the position of the i-th electron, and R→j is the position of the j-th nucleus. We consider realistic three-dimensional liquids of N particles (the total number of electrons and nuclei). This Hamiltonian is intentionally general; changing the values of Zi, Mi, and the specific form of any additional interaction potentials allows one to describe any and all specific liquids. Although the exact Hamiltonian is given by equation (3), this precise form of the Hamiltonian will be immaterial in the very general analysis that follows. Rather, as we will explain, what matters most in our classical approach [and in its quantum analog (Nussinov, 2015)] is that the equilibrium properties of this disorder-free many-body Hamiltonian are empirically well known. Specifically, the realization of Hamiltonian of equation (3), as it pertains to standard disorder free materials, typically exhibits equilibrium solid or liquid phase at, respectively, low or high energy densities or temperatures. given the Hamiltonian in equation (3). In general, for a many-body system such as a liquid, this leads to a set of strongly coupled, highly non-linear, partial differential equations, which are impossible to solve exactly. For our purposes, however, it will suffice to rely only on simple statistical mechanics ideas in conjunction with extensively verified experimental observations. Figure 1. At left is a phase space schematic with fixed energy shells. As described in the text, the microstates change from being “liquid-like” at high energy densities (or associated high temperatures) to being “solid-like” at low energies (or low temperatures). 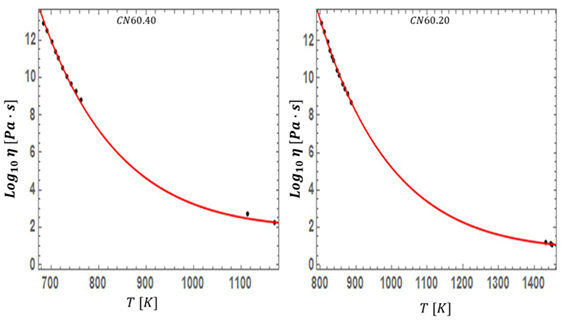 On the right, we depict a cartoon of the atomic microstates both above and below the energy density associated with melting (dashed line at center). Here, O¯m(E′) is the microcanonical average of O at an energy E′, and ρ(E′) is a (normalized) probability distribution in phase space, which is no longer a δ-function. In standard equilibrated systems [such as those corresponding to the disorder free Hamiltonian of equation (3) that describes equilibrated solids and liquids], the ensemble average of equation (7) is equal to the longtime average of O (which we denote by O∞) as it evolves according to equations (4). Empirically, as we remarked earlier, at high enough temperatures or energy densities, the system of equation (3) is a fluid, while at temperatures or energy densities below that of freezing the system is an equilibrium solids. Thus, for any observable O, the microstate average of equation (5) will change character from featuring equilibrium fluid like features at high energies to solid-like behaviors at low energies. When latent heat appears at the equilibrium melting transition (as it nearly always does), there will be intermediate states displaying mixed fluid and solid like features (Nussinov, 2015). It follows that, when averaged over energy shells in phase space, the microstates themselves change their character across the equilibrium phase transitions. Figure 1 portrays the above simple conclusion. If the system is cooled quasistatically, equilibrium will be maintained, and the distribution will remain canonical at progressively lower temperatures. This is, in part, guaranteed by Liouville’s theorem, which states that the phase space volume along trajectories in phase space is preserved for Hamiltonian systems. This means that as the system is cooled slowly enough, trajectories will neither bunch nor diverge and will map in a “1-to-1” fashion to the newly allowed region of phase space, and the distribution function will adjust accordingly. If instead of slow quasistatic cooling, we rapidly quench the system, it will cease to be in equilibrium and its dynamics will no longer be Hamiltonian. The now dissipative system will violate Liouville’s theorem: the trajectories from nearby points in phase space can diverge, and the phase space volume may swell. The initial shape of the initial energy shells will change due to supercooling. This shape deformation is central to our description of the supercooling process. Due to this non-adiabatic evolution, the Gibbs distribution will no longer be the exactly correct distribution describing the distribution in phase space. If we allow the system to maintain metastable equilibrium then the canonical ensemble is still roughly obeyed. However, in this case, different regions of the initial phase space will map to regions with, correspondingly, disparate effective canonical distribution functions, i.e., with different effective temperatures. This idea, which is seemingly reinforced by the appearance of dynamical heterogeneities (Kob et al., 1997; Donati et al., 1998; Sillescu, 1999; Ediger, 2000; Gebremichael et al., 2001; Richert, 2002; Nussinov, 2015) and other phenomena, implies that the overall system will sample a range of effective global temperatures (necessitated by the apparent spatial distribution of local effective temperatures) consistent with the externally imposed temperature, T. This distribution of effective temperatures forms the nub of our “Energy Shell Distribution Theory” (ESDT). Here, ρ(T′) is the probability distribution of effective temperatures T′. As the system is in a metastable equilibrium, the probability density for a given E at a temperature T′ will still reasonably be described by the Gibbs distribution of equation (9). Similar to equation (7), the longtime average of O for a general distribution ρ including that associated with the supercooled liquid (sc) reads (Nussinov, 2015). Here, O˜can(T′) is the canonical, equilibrium value of the observable O at a temperature T′. We see, then, that supercooling acts to drive the system into a metastable equilibrium, which leads to the system sampling a range of equilibrium value averages over a narrow, but finite distribution of effective temperatures. The initial “shock” to the system of supercooling causes microscopic effects, which broaden the distribution. By virtue of being out of equilibrium, the distribution ρ must have a finite standard deviation (SD). This is so as otherwise the system would be described by a unique uniform effective temperature and be describable by the equilibrium canonical ensemble. However, since the supercooled liquid is out of equilibrium, the SD σ associated with the distribution ρ cannot vanish (Nussinov, 2015). When thermodynamic equilibrium is restored at a uniform global temperature T, the distribution ρ(T′) becomes a delta function (δ(T − T′)) implying an equilibrium Boltzmann distribution (and ensuing equilibrium expectation values for all observables). In what follows, we make two conjectures to complete the form of the viscosity, one involving the cutoff temperature and the other involving the spread of the Gaussian. In choosing a value for the cutoff temperature, Tc, we rely on experimental observations. In pure systems, at the melting temperature, the equilibrium system undergoes a first order phase transition from the liquid to the ordered crystalline solid state. At this temperature, in equilibrium, the values of thermodynamic observables transition from their liquid-like values to their solid-like ones. In a perfect crystal (an idealization never realized), the viscosity is infinite (Sausset et al., 2010), and hence the terminal velocity will be zero at temperatures beneath melting. The idea of linking the glass transition to melting goes back decades, and it is easy to understand why (Sakka and Mackenzie, 1971; Uhlmann, 1972; Okui, 1990; Angell, 2008). By definition, supercooled liquids are formed by avoiding crystallization at the melting transition, therefore the melting temperature implicitly determines at which temperatures a supercooled liquid exists at all. Additionally, the melting transition occurs at a sharp transition temperature, making it a somewhat less arbitrary reference point than the kinetically defined glass transition temperature. In his seminal paper Kauzmann (1948) was one of the first to propose an empirical link between the glass transition and melting. He observed that for all the liquids he studied, on average the glass transition and melting temperatures were related by Tg≈23Tm. In the intervening years, a number of researchers have found that this relationship holds, on average, for various types of supercooled liquids/glasses (Kanno, 1981; Wang et al., 2006). However, deviations from this empirical rule have also been observed for decades. Similar to the argument above, Turnbull reasoned that because nucleation and growth of the crystalline phase became thermodynamically possible at the melting temperature, glass formability may be linked to the gap between the melting temperature and glass transition temperature. He observed that glass formability in metallic liquids could roughly be quantified by what he defined as the reduced glass transition temperature, Trg=TgTm (Turnbull, 1969; Angell, 2008; Na et al., 2014), where the best glass formers had Trg≈23. However, as metallic liquids display a range of glass formability, so to does the reduced glass transition temperature. Therefore, in metallic liquids at least, the 2/3 rule does not always hold. Building on the observation of Kauzmann and Turnbull, it appears reasonable to investigate further what links exist between melting and the glass transition. What these empirical relationships fail to do, however, is provide a consistent framework for understanding the dynamics of supercooled liquids and making predictions about the phenomenology based on melting. This is made vivid by examining a simple scaling of the viscosities of several liquids by values associated with melting. In Figure 2, we plot the logarithm of the viscosity scaled by its value at melting (or, more precisely, its liquidus temperature, as will be discussed below) versus the melting-scaled inverse temperature. 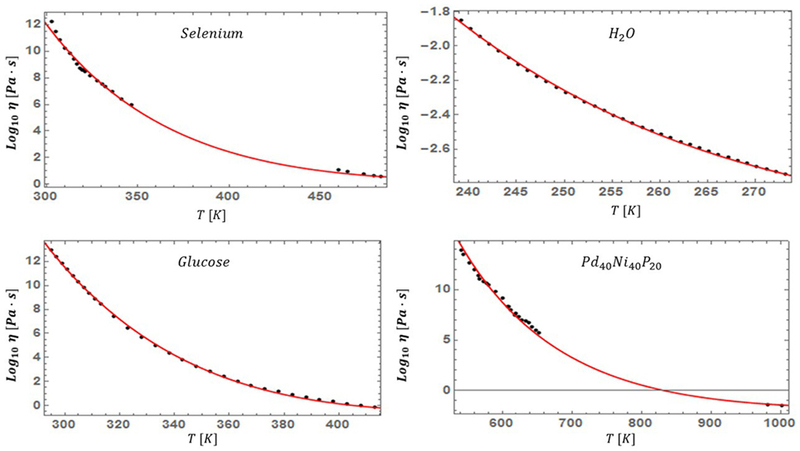 As the figure demonstrates, a universal description of the viscosity does not immediately emerge by simply using the melting temperature; however, “fragility bands” appear, providing more evidence for the link between Tg and Tm. This suggests that an “ingredient” is missing. It is our goal to combine the above ideas with our simple statistical mechanical treatment, to ultimately arrive at a complete, predictive theory of supercooled liquids. Figure 2. The viscosity, η(T), scaled by its value at the melting (or liquidus) temperature η(Tl) plotted as a function of the “reduced temperature” Tl−TTl. When represented this way, a spectrum of behaviors appears, with most glassformers seeming to fall within different “families” corresponding to fragility classes as defined by experimental values. In light of the above arguments we will identify the cutoff temperature Tc with the melting temperature, Tm. There is an intrinsic difficulty in doing this, however, which must be addressed. Only certain non-monatomic liquids possess a single “melting” temperature. In reality, most liquids have a “melting range” associated with the temperatures between the solidus temperature Ts and the liquidus temperature Tl. Additionally, either associated with these temperatures or the pure-system melting temperature, Tm, there will be a range of energies corresponding to the latent heats/enthalpies of formation. Therefore, regardless of which temperature we choose to represent “melting,” there will be corrections necessary to account for the melting range. Additionally, many silicate systems are polymorphic in the crystalline solid state, meaning that at various temperatures below the liquidus, the crystal transitions between different thermodynamically stable crystalline configurations. These polymorphs and their associated temperatures can have a very large impact on the thermodynamic properties of the system, with minimal apparent impact on the dynamical properties. One may obtain bounds on the viscosity by setting the cutoff or melting temperature in equation (12) to mean the liquidus temperature (Nussinov, 2015). If no longtime flow appears in this intermediate temperature regime [i.e., if the terminal velocity of equation (12) vanishes], then this substitution of Tc = Tl in equations (15) and (17) will be precise. Thus, because solid-like characteristics will first appear at the liquidus temperature, we will take it to define the melting temperature at which point there is a change in the equilibrium dynamics of the system. This argument can be further understood in the context of the Lindemann criterion. In Lindemann’s model, the break down of solidity and onset of flow at the melting temperature is due to the average amplitude of vibration becoming an appreciable fraction of the lattice length (≈10%). At the temperature where this occurs, the lattice destabilizes, and constituents become liquid-like. The average amplitude of vibration is proportional to the kinetic energy, so this can be seen as the average kinetic energy of the constituents becoming enough to globally overcome the average interatomic bond strength. Observations suggest that a Lindemann-like model also holds for the devitrification of glasses (Tournier, 2016). Therefore, viewing this from the perspective of cooling, at the melting (liquidus) temperature, the “stickiness” of the interaction forces/energy first starts to dominate the kinetic energy, and the constituents begin to more strongly interact. Inserting the liquidus temperature, Tl, into equation (17), we obtain η(T)=η(Tl)erfcTl−T2O˜(T). We next motivate a specific functional form for the distribution σ(T). where A¯ is a small, dimensionless, material-dependent parameter. That is, the width σ(T) is set by the natural energy (temperature) scale of the system. Additional analysis is provided in Nussinov (2015). To confirm the validity of this approximation, we can invert equation (17) solving for the spread, σ(T), and examine it for experimental viscosity data. Across the different examined liquids, we found this to hold relatively well. In some materials, there are deviations from linearity in the vicinity of their respective solidus and/or liquidus temperatures. This is illustrated in Figure 3. As seen therein, in both glucose and supercooled water (Figure 3), σ(T) exhibits such a crossover. We found an analogous trend in supercooled salol where the crossover temperature associated with σ(T) (Weingartner et al., 2015) coincided with the earlier reported putative liquid–liquid transition temperature in this system (Mallamace et al., 2010). Similarly, supercooled water and glucose display anomalies that have been ascribed to a liquid–liquid transition (Johari et al., 1987; Mishima and Stanley, 1989; Ito et al., 1999; Tyagi and Murthy, 2006; Li et al., 2013; Murata and Tanaka, 2013; Palmer et al., 2014). Taken together, these data suggest that, if and when present, fragile to strong crossovers or liquid–liquid phase transitions (Sastry and Angell, 2003) may be associated with deviations in σ(T). This will be critically addressed in depth in a follow-up paper where we will further extensively demonstrate that A¯ strongly correlates with various thermodynamic parameters and may allow for the prediction of low temperature viscosity from purely high temperature measurements. Figure 3. The SD σ(T) of the probability distribution of equation (16) as inferred by fitting the experimentally measured viscosity to equation (19). In most cases that we examined, the approximate linearity relation of equation (18) holds reasonably well far enough below the liquidus temperature. Here, we also show two well-known exceptional liquids: water and glucose. These fluids display anomalies that have been ascribed to putative liquid–liquid transitions, e.g., Johari et al. (1987), Mishima and Stanley (1989), Ito et al. (1999), Tyagi and Murthy (2006), Li et al. (2013), Murata and Tanaka (2013), and Palmer et al. (2014). 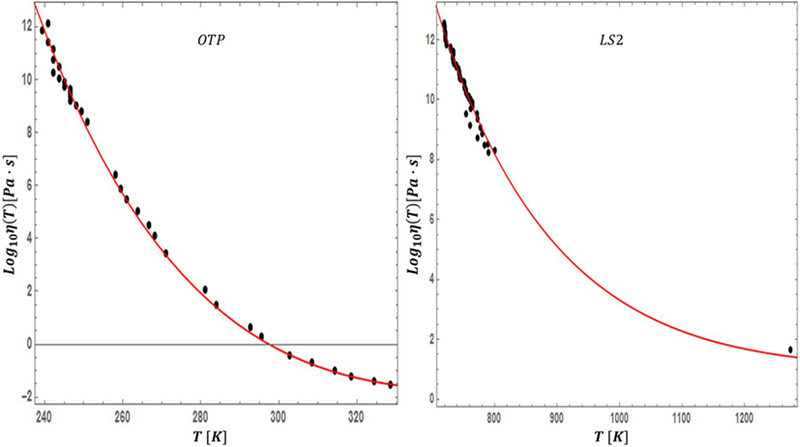 The crossover of σ at high temperature and the one that we similarly found in supercooled salol (Weingartner et al., 2015) may be a signature of these putative transitions. Indeed, in salol the crossover temperature at which σ(T) deviates from its low temperature linearity (Weingartner et al., 2015) coincides with earlier experimentally suggested liquid–liquid transition temperature (Mallamace et al., 2010). It is immediately clear from an examination of equation (19) that our model does not possess a dynamical singularity. In fact, if one were to calculate the entropy difference between the supercooled liquid and equilibrium crystalline solid, it would be apparent that the excess entropy could only vanish at a point where the temperature distribution becomes a delta function. When this occurs, however, the system will, by definition have returned to equilibrium. Therefore, our approach makes it plain that there cannot be a finite temperature singularity, and that the above excess entropy can only vanish if the system regains equilibrium. The function of equation (19) relies only on measurable quantities associated with the liquidus and a single parameter. While the specific form of the above equation is only applicable beneath the liquidus temperature, in Weingartner et al. (2015) we derived an extension to all temperatures above the liquidus, completing the theoretical model. A corollary of equation (19) is that the viscosity data from all supercooled liquids may be made to collapse onto one master curve (Nussinov, 2015). That is, for each fluid, the ratio of the viscosity at temperature T ≤ Tl to its viscosity at the liquidus temperature, (η(T)/η(Tl)), is a trivial function of the quotient (Tl−T)∕(A¯T) with A¯ being the single dimensionless parameter that is material-dependent. We tested this prediction in Figure 4 and found it is indeed be satisfied. 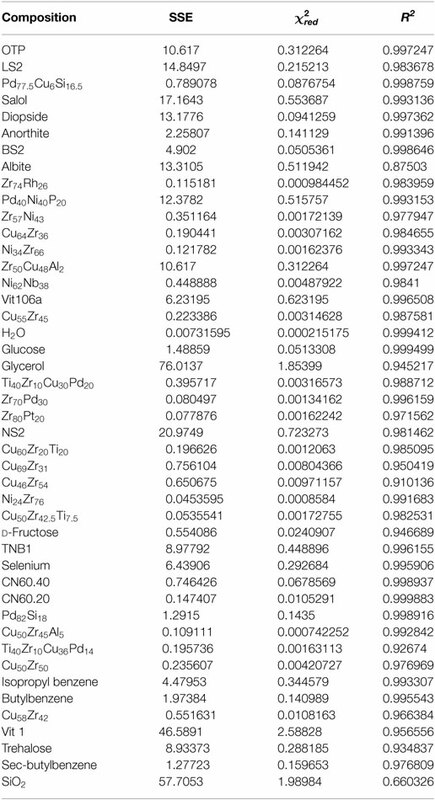 Although the value of A¯ does not significantly change across all of the liquids that we examined (see Table 1), its variations are nevertheless important. In particular, it can be demonstrated that the fragility parameter is a function of both A¯ and the reduced glass transition temperature Trg (that are set, in our theory, by the values of the melting temperature and A¯ themselves) (Weingartner et al., 2015). Thus, albeit being small in size, the changes in the values of A¯ in their relatively narrow range (along with the values of Trg) differentiate strong fluids from fragile ones. This is clearly seen in Figure 2; if the dependence on A¯ between different glass formers were weak, the viscosity data in Figure 2 would have collapsed onto a single curve. The contrast between Figure 2 and Figure 4 (in which A¯ was, for each liquid, set to the value given by Table 1) highlights the importance of the deviations in the parameter A¯ (the “missing ingredient” that we alluded to above) from one fluid to another. Figure 4. The viscosity data scaled by its value at the liquidus temperature, η(Tl), plotted as a function of the dimensionless temperature ratio x, as defined in the figure. 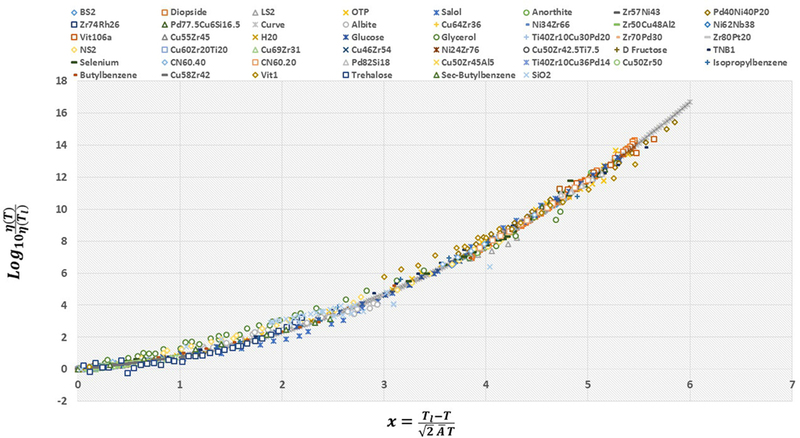 The viscosity data of 45 liquids from numerous classes/bonding types (silicate, metallic, organic) and kinetic fragilities collapse onto a unique curve, suggestive of universality among all types of glass-forming liquids. Note the exceptional agreement over 16 decades. The deviations of glycerol and SiO2 are discussed in Weingartner et al. (2015). The pertinent liquidus temperature Tl and the viscosity at Tl and our single dimensionless parameter associated with all fluids are provided in Table 1. The continuous underlying “curve” (seen at the high viscosity end where fewer viscosity data are available) is that predicted by equation (19). Table 1. Values of the relevant parameters of all liquids studied (equation (19)). With the theoretical prediction of equation (19) in hand, we now turn our attention to assessing the accuracy of the model. We examined diverse liquids belonging to both the strong and fragile classifications, and spanning all liquid types: silicate, oxide, metallic, organic, chalcogenide, sugars, and even supercooled water. We used standard non-linear fitting techniques to extract the optimal value of A¯ for each liquid. Surprisingly, for the 45 liquids studied, the values of A¯ fall within a narrow range (having an average and SD of 0.095 and 0.031 respectively), while simultaneously providing a visually accurate fit to the data of all studied systems. In Table 1, we list the values of A¯ for all studied liquids and their corresponding liquidus temperatures. In Figures 5–7, we present the viscosity data of a representative sample of the supercooled liquids studied. In the figures, the solid line represents the fit of the ESDT viscosity function to the data. Visual examination of the quality of fit suggests a high degree of accuracy. To make this objective, and quantitatively rigorous, we performed a detailed statistical analysis of the data of all liquids. In Table 2, we present the results of the analysis, featuring the computed values for the sum of squared errors (SSE), reduced χ2, and R2 statistics for each liquid. 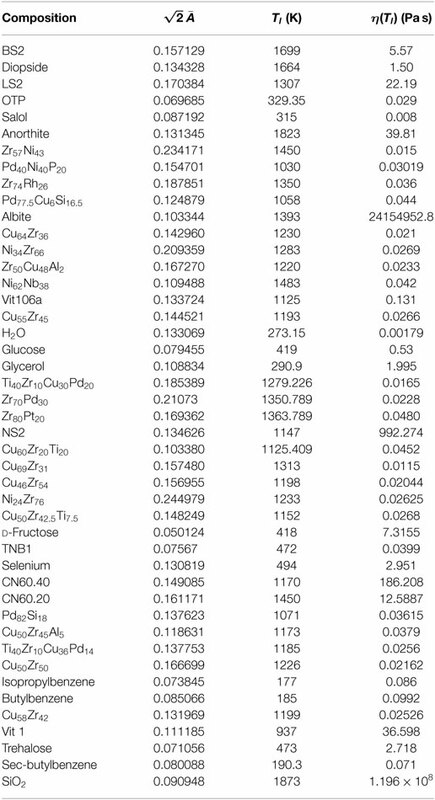 The highest χ2 values calculated (with correspondingly low R2 values) correspond to glycerol and SiO2, which appear to have anomalous behavior (Weingartner et al., 2015) and will be further addressed in detail in a follow-up paper (the melting range and bimodality likely play a role). Outside of these two liquids, the highest value of χ2 is 0.7, and the lowest R2 is 0.87. These results provide an objective validation of the ESDT model performance. From the combination of visual inspection and statistical analysis, it is within reason to conclude that the ESDT form for the viscosity is able to reproduce/describe the viscosity of all studied types of liquids to objectively high degrees of statistical accuracy. Figure 5. Fits the viscosity of various supercooled fluids (including water) with equation (19). Figure 6. The fit of equation (19) is tested for CN60.40 and CN60.20, two silicate systems with slightly different molar compositions. Figure 7. Our viscosity fit of equation (19) is applied to a very fragile organic glass former (OTP) and very strong silicate glass former (LS2). Table 2. Statistical measures of the goodness of the fit. Whether or not the dynamics of supercooled liquids are universal has been debated for some time. 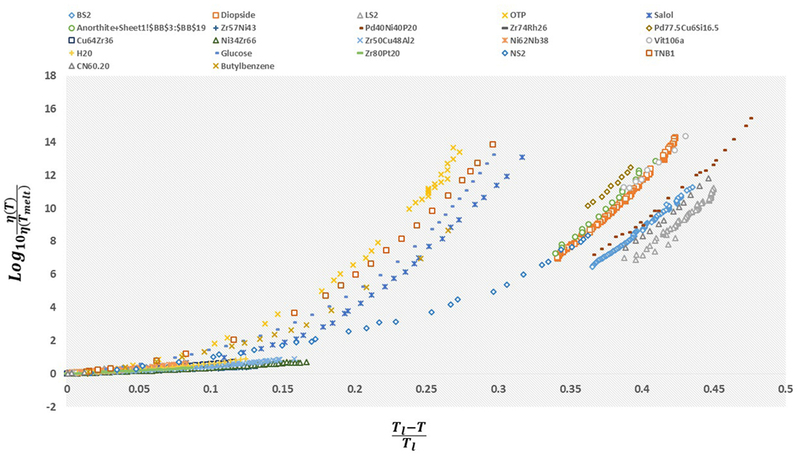 We demonstrated that the ESDT viscosity form appears to fit the viscosity data of all types of supercooled liquids, thereby providing the “missing ingredient” that prevented a universal description of liquids based on melting. If the ESDT form is to be a complete picture for all liquids, then it should allow for a universal scaling of the viscosity of supercooled liquids. For that reason, we plot the logarithm of the viscosity of all studied liquids scaled by its value at the liquidus, but this time versus the argument of the complementary error function. The results of this scaling are presented in Figure 4. It is immediately clear that this scaling collapses the viscosity data of all liquid types onto a single curve. More significantly, the collapse holds over 16 decades, and for all classes/types of liquids. It should be pointed out that while this scaling arose as a consequence of the ESDT framework, even if the theoretical foundations do not hold, this scaling can always be done. While the analysis of considerably more liquids is ultimately required, this stunning result suggests that there is perhaps an underlying universality to the dynamics of all supercooled liquids. For completeness, it must be pointed out that all liquids tested in this work undergo congruent melting and can therefore be adequately described by their liquidus temperature. There are numerous liquids, however, which undergo incongruent melting, and a small molar addition of some material can drastically change the liquidus temperature without appreciably affecting the viscosity. This is because the liquidus is where the small crystalline clusters associated with the addition will first appear, but in small enough concentrations, they cannot impact the dynamical character of the liquid. This presents a difficulty for using the liquidus as the scaling temperature for all liquids. The impact of this will be investigated in a further work but suggests that for these “pathological” liquids, a description in terms of the solidus or associated temperatures may be more appropriate. We advanced a classical statistical mechanical framework for understanding the dynamics of supercooled liquids. 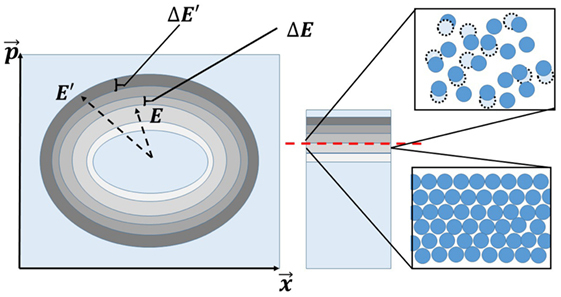 We demonstrated, both qualitatively and quantitatively, that the resultant expression that is predicted by this approach [and by an earlier companion quantum version (Nussinov, 2015)] for the viscosity of supercooled liquids below the melting temperature can describe/reproduce the behavior of all liquids studied to objectively high accuracy. We demonstrated that the viscosity data of 45 different liquids can be collapsed onto a single scaling curve, suggesting that an underlying universality may be present in the dynamical behavior of supercooled liquids. Further support to our results, including data and details underlying our viscosity analysis, appears in Weingartner et al. (2015). Additional structural aspects are discussed in (Nussinov, 2015) and (Weingartner et al., 2015). We hope that our newly found universal 16 decade collapse for the viscosity data of all known liquid types and the theoretical ideas that led us to it will prompt further discussion on the underlying phenomenology of supercooled liquids and the glass transition. ZN conceived the project. NW, FN, and ZN contributed to the theory described in this work. NW gathered the data and performed the data analysis. CP and KK took the data for the various metallic liquids in their lab. NW wrote the manuscript with additions and changes from KK, FN, and ZN. All the authors were consulted at all stages of the work. NW and ZN were supported by the NSF DMR-1411229. CP and KK were supported by the NSF DMR 12-06707, NSF DMR 15-06553, and NASA-NNX 10AU19G. ZN thanks the Feinberg foundation visiting faculty program at Weizmann Institute. The initial version of this work was completed while ZN was at the Aspen Center for Physics, which is supported by the National Science Foundation grant PHY-1066293. NW would like to sincerely thank Robert Ashcraft and Rongrong Dai for supplying data and stimulating discussions. We further thank Hajime Tanaka and Takeshi Egami for their kind words and encouragement. Gotze, W. (2008). Complex Dynamics of Glass-Forming Liquids: A Mode-Coupling Theory. Oxford: Oxford University Press. Kalogeras, I. M., and Hagg Lobland, H. E. (2012). The nature of the glassy state: structure and glass transitions. J. Mater. Educ. 34, 69–94. Nishimori, H., and Ortiz, G. (2010). Elements of Phase Transitions and Critical Phenomena, Oxford Graduate Texts. Oxford University Press. Sillescu, H. (1999). Heterogeneity at the glass transition: a review. J. Non Cryst. Solids 43, 81–108. Vogel, H. (1921). The temperature dependence law of the viscosity of fluids. Physikal. Zeitschr. 22, 645–646. Zallen, R. (1983). “The formation of amorphous solids,” in The Physics of Amorphous Solids. John Wiley & Sons, Inc., 23–32. Copyright: © 2016 Weingartner, Pueblo, Nogueira, Kelton and Nussinov. This is an open-access article distributed under the terms of the Creative Commons Attribution License (CC BY). The use, distribution or reproduction in other forums is permitted, provided the original author(s) or licensor are credited and that the original publication in this journal is cited, in accordance with accepted academic practice. No use, distribution or reproduction is permitted which does not comply with these terms.